Sometimes, hot days get too unbearable. Dripping sweat coupled with a hot head will most likely stop you from accomplishing anything within the day, including taking a nap if you need to. You can also get irritated by the littlest things, ruining your mood for everybody. An electric or battery-operated fan may be enough. But, an air conditioner will take you to the next level of relaxation or clear your head. After careful research and product testing, we are giving you the best air conditioner in today’s market. 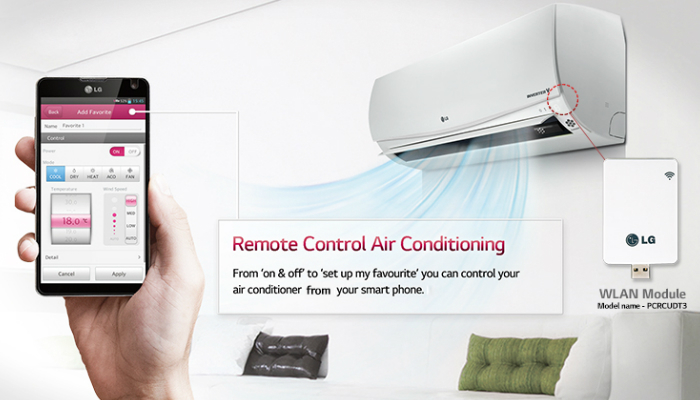 LG 115V Window-Mounted Air Conditioner comes with a long-range remote control for convenience. 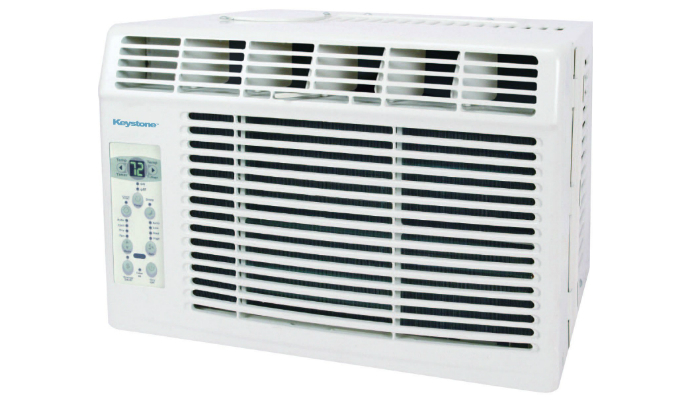 This AC is good in conserving energy with its 12.1 Energy Efficiency Ratio (EER) and Energy Saver feature. It has 8,000 British Thermal Unit (BTU) rating to let it totally cool a room measuring up to 340 square feet. It can dehumidify until 2.2 pints every hour. This product can be adjusted based on its three fan speeds and three cooling speeds. 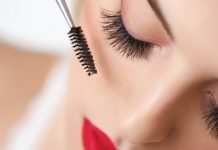 It can last for years because of its special protective coating. You can set whether you want to turn the 24-hour timer on or off. Keystone 115V Window-Mounted Air Conditioner can be adjusted to Sleep Mode when you want to reduce the energy cost but still need the cool air. Sleep Mode works by gradually increasing the room’s temperature. The cold air can flow to whichever direction you want due to adjustability. This AC can save data so you can have the same settings such as temperature when you turn it on again. Its mesh filter is easy to clean. The unit will just let you know through an alert if it needs cleaning. Whynter Dual Hose Portable Air Conditioner comes with its own storage bag. 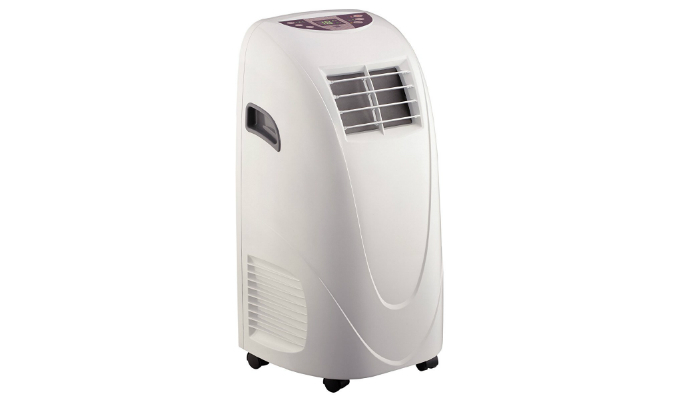 It has three modes: dehumidifier, fan, and air conditioner. It is portable yet very powerful that it can cool a whole room measuring 500 square meters. This AC has an easy setup. Going further, it has high-technology evaporation technique. 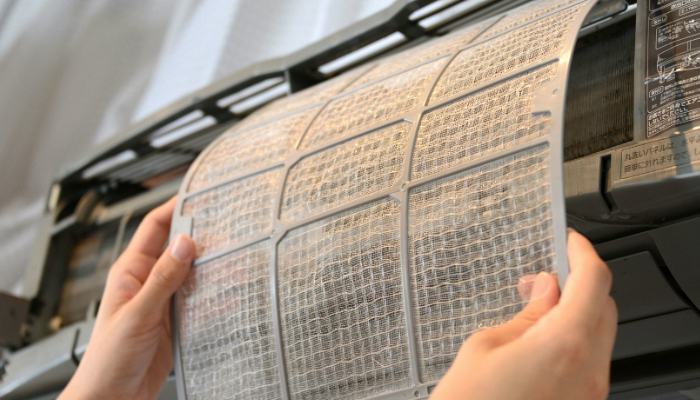 It can recycle moisture from the cooling process to turn it into fresh, cool air. That reduces the build-up of condensates. This product can cool quickly because of the dual hose. Its refrigerant is CFC-free, which means it is safe for the environment specifically the ozone layer. 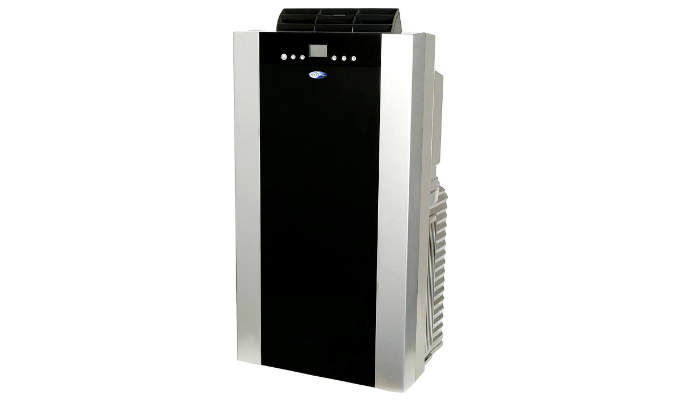 Global Air Portable Air Conditioner relies on digital technology to make you achieve the exact temperature you want. 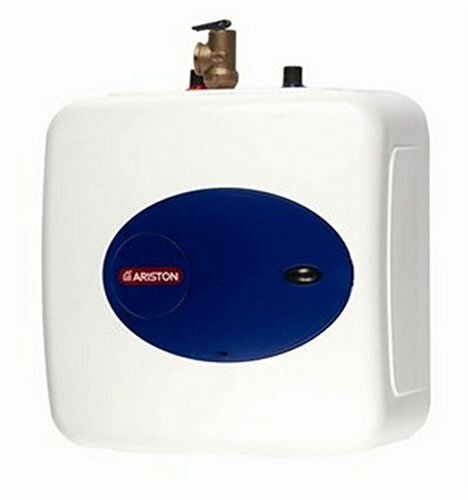 It does not require a water tank because of its self-evaporation system. It has a total of four air directions for ultimate convenience, especially even cooling of a room. 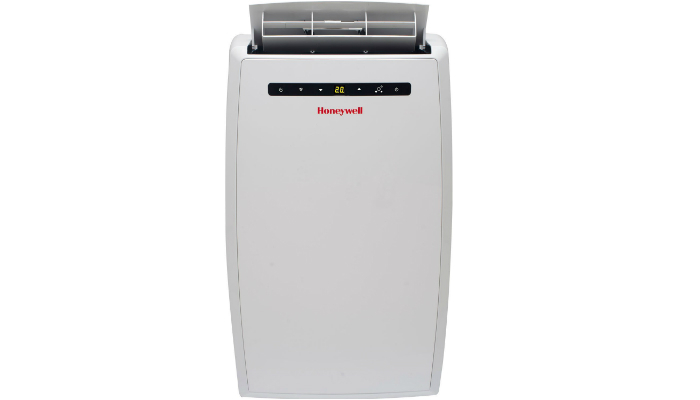 Honeywell Portable Air Conditioner has four caster wheels that smoothly glide on the floor whenever you move the unit. It has its own window vent that can be removed for storage. You do not need any professional help during setup because everything is too easy. 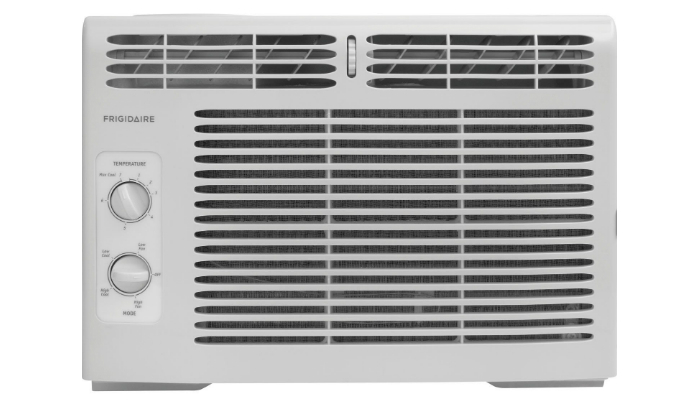 Frigidaire Window-Mounted Mini-Compact Air Conditioner can operate with low power at first to save energy. It does not make too much noise. It can easily be restarted. This AC has an antibacterial filter that can easily slide out whenever you need to clean it. Its power cord which is 6.5 feet in length is longer than most ACs. 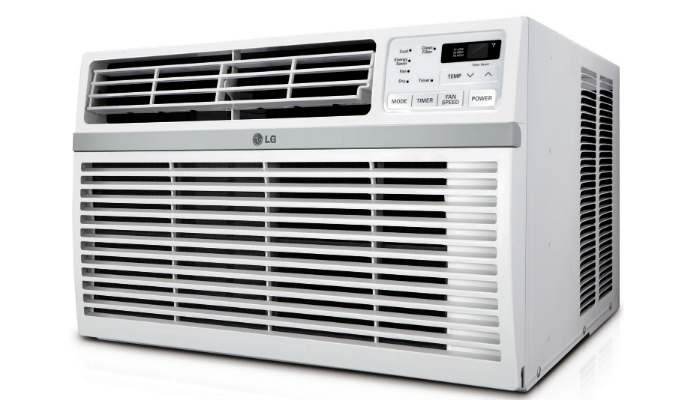 The basic types of air conditioners found mostly at home are window, portable and split. Under window type, the main sizes are small, medium and large. Small window types have BTU rating at least 5,000 up to 7,000 per hour. They are good for rooms measuring up to 300 square feet. They are also the lightest and cheapest ones. Meanwhile, medium window types are rated 7,000 to 9,000 BTUs per hour. They fit for rooms measuring up to 400 square feet. Lastly, large window types are rated 9,000 to 12,000 BTUs per hour. They go well with rooms measuring up to 550 square feet. If your home prevents installation of window-type ACs, it is best to go for portable ones. 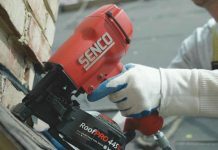 There are portable ACs that are rated up to 14,000 BTUs per hour. The downside is that portable ACs are way more expensive than window types. These units also utilize more energy, leading to more expensive bills. They tend to be noisier as well. Make sure to get a portable AC that has excellent wheels to avoid any hassle in moving it around the house or room. Portability does not mean having a light weight. Split type is the most expensive but has the highest quality. It is best for big rooms and offices. Owning an AC is a responsibility to keep it functional for several years. A way to maintain it is through cleaning its filter. We recommend choosing an AC with an easily accessible filter. Noise is something you can tolerate, especially if you want the most affordable ACs. But for light sleepers, it is a red flag. Noisy units can also be annoying when you have guests over. They might drown conversations and disturb visitors who are light sleepers. There are modern twists in ACs that are not really necessary for the main purpose of the unit but still useful for convenience’s sake. Some ACs have a big LED digital displays and controls for clear reading and automatic adjustment. There are units that feature Dehumidification Mode for lower energy cost during cold weather. Another innovative mode is the Exhaust Setting for ventilation purposes with no cooling at all. Some units go the distance with wireless technology. They can be controlled through a smartphone and connect with other ACs within the household. An air conditioner will always be your best bud in hot days. 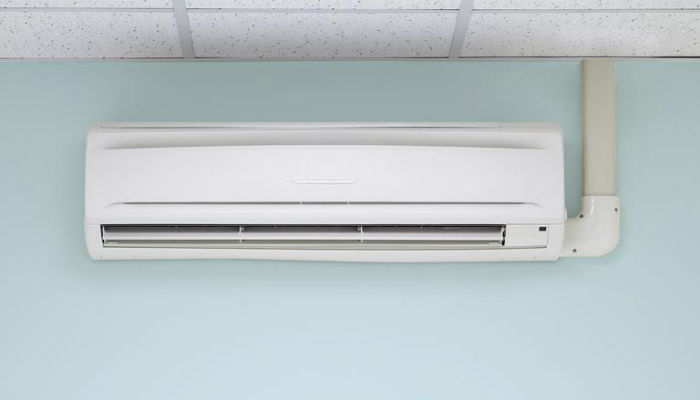 You should first think about the size of your room before purchasing a certain type of AC. One way to make sure that you are buying the right one is taking note of the AC’s BTU rating. BTU capacities differ on power and recommended room size. Also, take into consideration how every AC type is installed. Your room or house might not be compatible with a particular type. 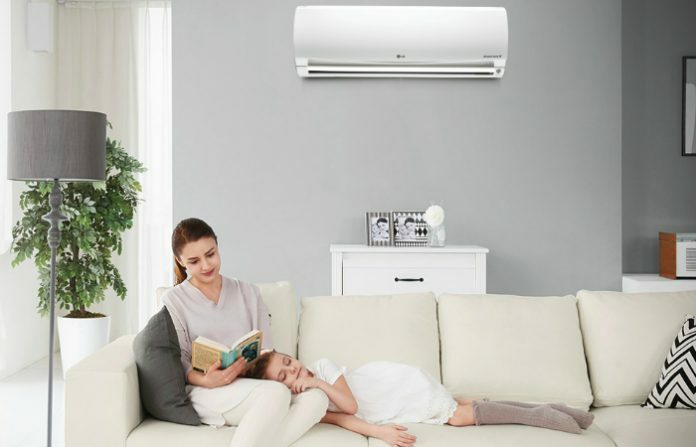 For further guidance, you may also check out our tips on how to choose air conditioner for your room.